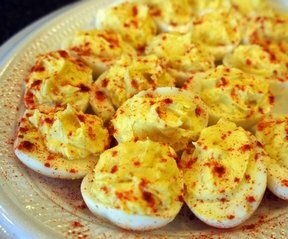 Not your average deviled eggs. Stuffed with elegant salmon and garnished with fresh dill, these little devils are superb for those times when you really want to impress your guests. Notes and Suggestions: Make them fancy! 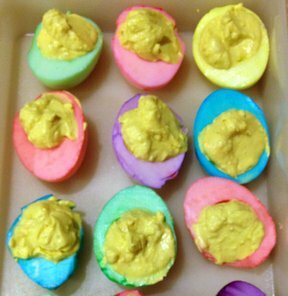 Simply fill a resealable plastic storage bag with the egg yolk filling. Snip off a corner of the bag. Pipe the filling directly into the egg whites. 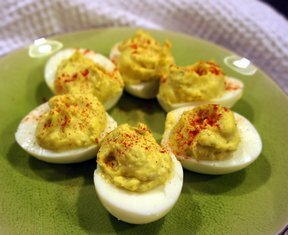 Top with additional chopped dill or chopped pimento for garnish.